The beloved classic mouse is back, as only Steiff can bring it to us..
Everyone’s favorite Mouse is “in the house”! The first Steiff Mickey Mouse made his appearance in 1931. More than eight decades later, Steiff has brought this classic Mickey Mouse back to life. 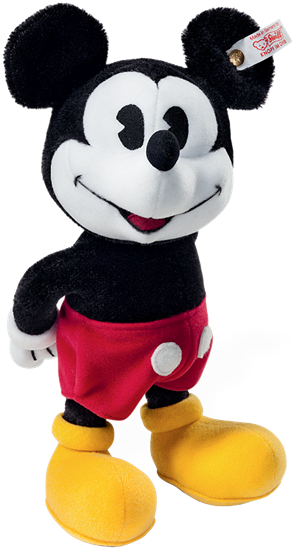 Mickey Mouse is made from the finest black and white mohair. He is 9-inches tall and is jointed at the neck. Just like 83 years ago, this Mickey Mouse is entirely handmade. He is a limited edition of 2000 pieces, and has a white tag, with the gold plated “button in ear”.